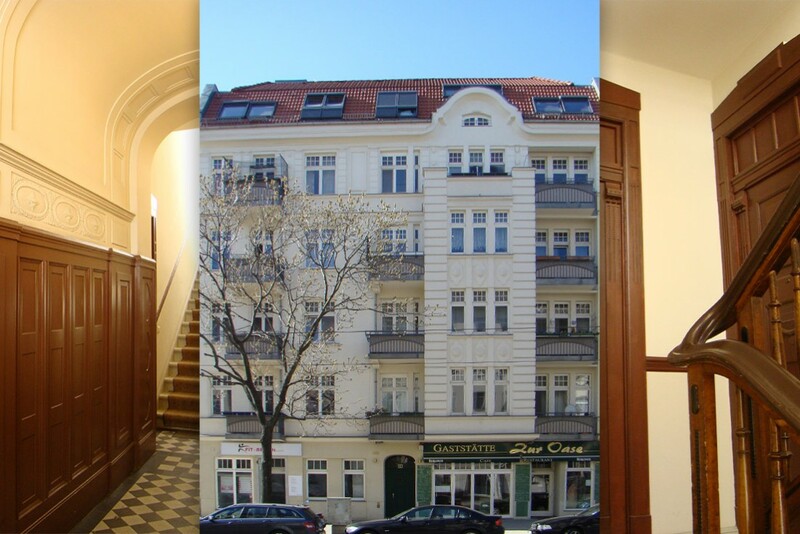 The property at 30 Stahlheimer Strasse is located in Berlin Prenzlauer Berg. This prewar building comprises over 1,025 square meters of living space and 180 square meters of commercial area. As part of the overall modernization and restoration of this residential and commercial building, the attic was remodeled in order to create additional living space suited to modern standards.